You are here: Home >> News >> Conference & Exhibition >> Register as Visitor to CPhI China 2019! Find it all in ONE location! APIs, Fine Chemical & Intermediates, Finished Dosage Formulation, Excipients & Formulation, CRO & CMO, Natural Extracts, Biopharmaceutical, Animal Health & Feed. Here it's a good opportunity to find new collaboration,new suppliers, new partners, you can find everybody in this show. It's very important to be here, to understand that the very quick development of this market, to understand also the culture of this market. 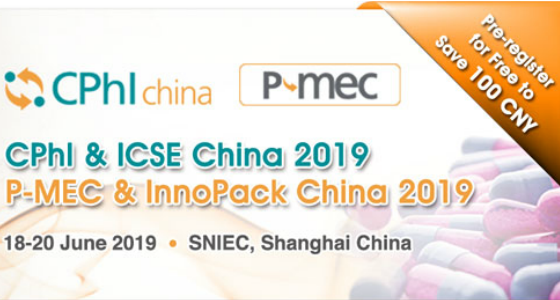 CPhI China is a great platform that connects with international and domestic market and broadens the industry chain. Our company finds more international partnerships and promotes our international brand awareness here. CPhI Shanghai is a must to attend if you have anything to do with China related pharma business. It is not only for the raw materials but also provides great candidates for sales operations and other areas like packages, CMO and machinery. Highly recommended! CPhI is an awesome event where people working in the pharmaceutical industry can learn more. China is practically the pharmacy of the world, you will get the best prices and just a huge number of products from China and from India. We are really meeting very good products and very good companies. all over South East Asia, that's a great opportunity.